Dirty hands? Then wash them... That's what I do. I'm talking about the dirt you can't see though. You know those sneaky germy bacteria...... the invisible folk! A few months back Aaron had norovirus and I was REALLY proud that only he had it, as I know it is common that it would normally go on to infect the whole family. I always intended to write a detailed blog post about it, as the info I found online when he had it was limited, but now I don't even remember enough of what happened. The only thing I remember is that the vomiting clears up days earlier than the diarrhoea does, and it breaks your heart how long that goes on for. I can honestly say, it was MORE distressing that the chickenpox which is saying something. The only sad thing about the chickenpox is how many scars Aaron's been left with, but I am hoping some of them will clear. Before I got busy I was putting Coconut Oil on everyday and that was working a treat. I hope I haven't left it too long to take that up again. Anyway, I sometimes regret that I only toilet trained Aaron when he was 3 years old, but you know what, when he had the Norovirus I thanked God for those nappies about 100 times!!! We were really alert about laundry and washing our hands, which is why I think we - as parents - were saved from getting it too. I thanked God a thousand times that I wasn't single too, as you need both parents when one is holding a crying sick baby at 3 a.m. whilst the other changes bed linen! My last day in Ireland, 18th September, I got the flu, and I would say today is the 1st day I feel free of it. Again, only one person was ill! Me! I honestly think good hand hygiene contributes to that. I am a huge fan of Carex. 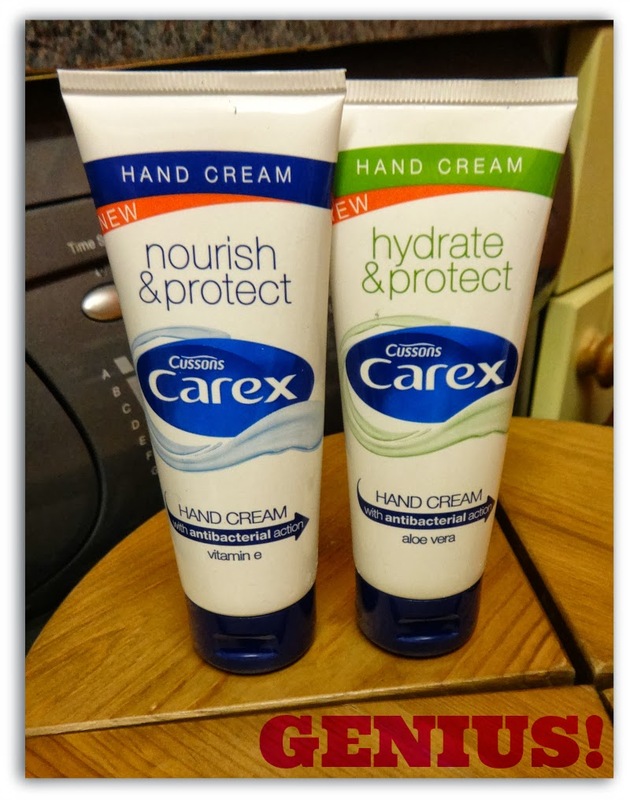 I accidentally discovered just now that it will soon be Global Handwashing Day on 15th October and when reading about that, I read about Carex in Ghana, and it's nice to see people being educated on getting rid of germs by cleaning one's hands. Like I say, I am a huge fan of Carex. I never find that it gives me dry hands, so I am never one to make a grab for hand cream after washing my hands, BUT pushing a buggy in poor weather conditions, really really plays havoc with my hands. Hydrate and Protect with Aloe Vera. Supposedly "they're great for mums 'on the go', as they're a handy 'handbag size' and easy to apply!" I personally, would have to agree with this whole heartedly #Sold!!! I wanted to tell you which one my favourite is, but to be honest they both smell faboulous!!! They both soak in beautifully too and they don't leave an oily residue that takes hours to clear. Disclosure. 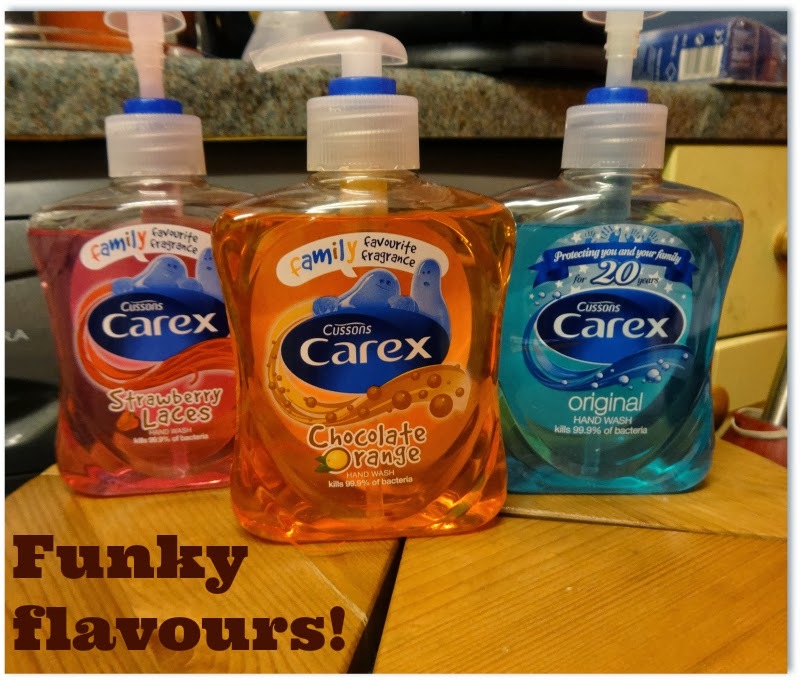 Although I was sent all products free of charge, it doesn't take much of a nudge to get me raving about Carex and it's a product that's next to every tap in my flat. All words as ever are my own! I love Carex. But I do dread thing like Norovirus. Z had something similar when he was younger and I think we went through about 15 nappies in one day. Really hard work!